This design was worn during the 1984-87 seasons. The Tigers have been enjoying a huge resurgence in recent years, but have only ever won the Japan Series once - in 1985. This is the cap that was worn at that time. 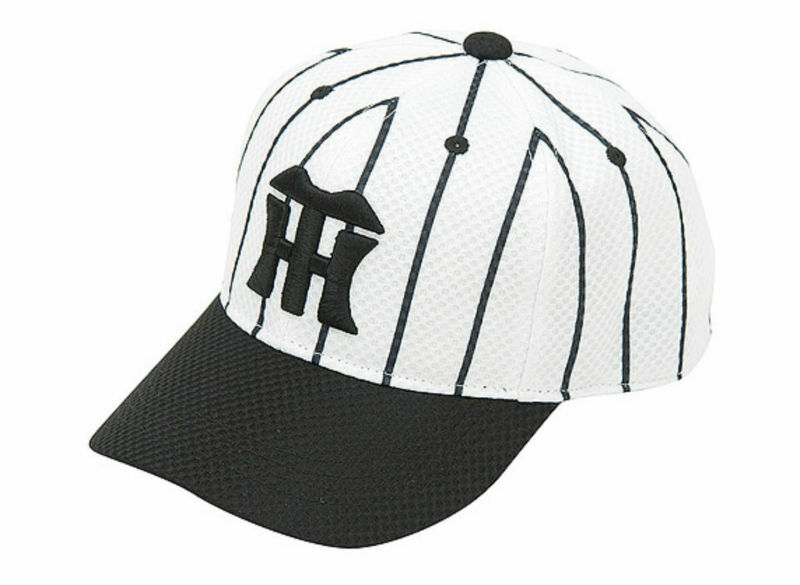 Based at Koshien Stadium near Osaka, the Tigers are still the only Japanese team ever to have beaten the NY Yankees! Sizes: Junior (52-56cm), Adult/Free (56-60cm). All caps are adjustable. Former Hanshin stars include Igawa Kei, Shinjo Tsuyoshi, and Randy Bass. Material: This is a high quality 100% polyester cap.